If Mourinho does the double, will he call it quits? If Real Madrid fend off a feisty Barcelona to win a first La Liga title in four years and if they solidify themselves as kings of Europe by earning a 10th crown in Munich, what happens next? Jose Mourinho has taken a very distinct path in management, one that has only been taken slightly off course by the controversial end to his tenure as Chelsea manager. 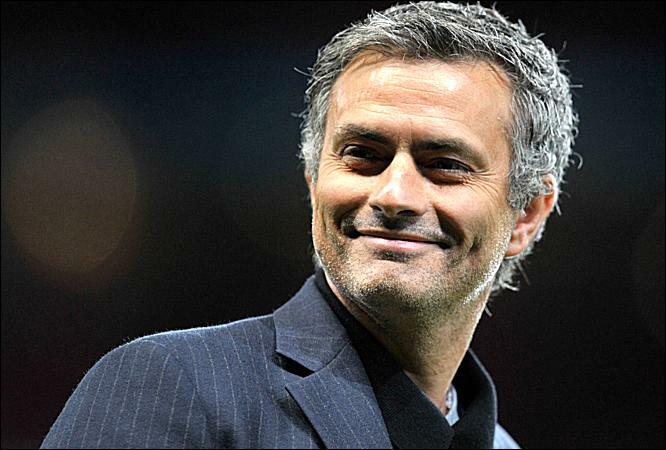 Apart from his early ventures into management at Benfica and Leiria, the special one has won the major treble at both Porto and Inter Milan. He won the Portuguese League and Cup at Porto in 2003, before adding the prestigious Champions League to the trophy cabinet in 2004. In a repeat success he won the Serie A, Italian Cup and Champions League with Inter Milan in 2010. On each of these occasions he has jumped ship to not only a different team, but a different country also. As history suggests, once Mourinho feels he has taken a team to its limits he finds a new challenge. If he can add a La Liga title and a European Cup to his CV at Madrid, it’s anyone’s guess where he may end up next season. This brings up the question of a highly documented potential return to Stamford Bridge. If he wins the treble at Madrid, Chelsea will be the only major club he’s managed that he hasn’t won the Champions League with. To say there is unfinished business is an understatement. A recent purchase of a London home and an outspoken admiration of the English game has been enough to convince some that the special one is set for a fairy-tale return to Chelsea. Although a return to the Premier League seems highly likely for him before his managerial career comes to an end, perhaps he will consider this the wrong time to do so. Having never returned to a manage a previous club before, Mourinho may relish the opportunity to coach Chelsea’s rivals in the future. He has been linked with an entertaining Spurs side and is considered a front runner to take over Manchester United upon Sir Alex Ferguson’s retirement. For me, I believe he stays in Spain next season, whatever happens. Although his return to English football seems undoubted in the future, the opportunity to unseat Barcelona as the ‘best team in the world’ could prove too much of an incentive to stay, for now. He is yet to build a footballing dynasty. His constant moving between clubs makes it hard for the teams he has managed to domestic and European success to be considered all-time greats. The prospect of reducing Barcelona to an afterthought should be enough to keep him at the Bernabeu, at least for this summer. A blog dedicated to proper football analysis for proper football fans. Why settle for just being told what you’ve alredy seen. This will provide the answers to your questions. Discussion is welcome, hit me with any questions. Enjoy!